A. Christian Wilson, Partner | Simpson, Uchitel & Wilson, L.L.P. Chris Wilson joined Simpson Law Offices, L.L.P. in 2008 and became a partner with Simpson, Uchitel & Wilson, L.L.P. in 2012. 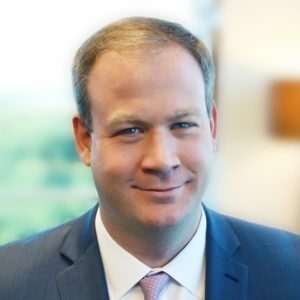 His practice includes a wide range of complex commercial litigation matters, with a focus on lender representation, creditors rights in bankruptcy and construction litigation. His experience includes litigation in State and Federal Courts at both the trial and appellate levels. Chris graduated with distinction from the University of Georgia in 2004 majoring in Economics. He received his J.D. degree from Cumberland School of Law at Samford University in 2008, where he graduated near the top of his class while serving as an Editor on the Cumberland Law Review. Chris also obtained a Masters in Business Administration while attending law school. Chris is admitted to practice in the State of Georgia, Eleventh Circuit Court of Appeals and the United States District Courts for the Northern and Middle Districts of Georgia. He is a member of the International Association of Commercial Collectors and is a member of the creditor’s rights, bankruptcy and real estate sections of the State Bar of Georgia. Simpson, Uchitel & Wilson, L.L.P. is a full service commercial collection firm in Atlanta representing clients throughout the State of Georgia. © 2018 Simpson, Uchitel & Wilson, L.L.P.